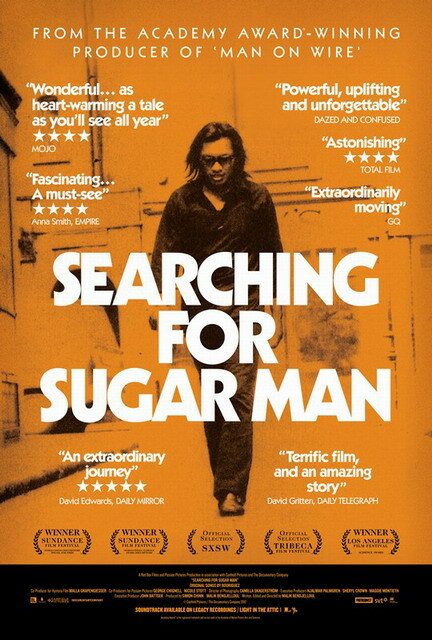 Searching for Sugar Man paints the musician Rodriguez as an almost spectral figure who drifts on the fringes of music society, unseen and yet possessed with the clarity of sight and lyricism that can equally paint the world in mystery as it can inspire revolution. He is a man who had two critically acclaimed albums which were instant classics to those in the know, but which failed to gain any traction in America. Then he killed himself. Depending upon who’s version of the legend you listen to he either calmly sat on stage whilst setting himself alight or pulled a gun out and shot himself in front of his audience. Either way he died apparently unaware that his songs had become the voice of the anti-Apartheid movement in South Africa. The first question which this excellent documentary poses is simply ‘how can a man who was so influential have been forgotten?’. It’s a good one. It seems incredible that a musician who many claim to have been the poet of the times, above even Dylan, and who’s ghost continues to hang around in Detroit’s corners, streets and bars can have been completely forgotten. Particularly so when you realise that he is thought of as more famous than the Beatles over in South Africa. Is it a simple case of the American people’s poor taste in music? Is it the fault of greedy executives? Was he just unlucky? The film poses all of these questions and more, but quite rightly it doesn’t provide any straight answers. Then whilst you are swelling with a strong sense of indignation and outrage the film switches gears and takes you on a detective story that’s more thrilling than anything you will see in a Hollywood movie. This film works on a number of levels; it’s a compelling narrative of one man and his family, it’s a touching and slightly incredible investigation into how an artist can instinctively touch so many souls from varied backgrounds and it’s also a love song to the art of music and those who can channel its power into instruments and lyrics.What is perhaps most praiseworthy here is that the film doesn’t seek to sweep away its many profound and important questions with easy answers, instead it strives just to present the facts of its case and let people discover Rodriguez’s work and perhaps feel inspired to do their own research too. The film could have perhaps benefited from looking just a little further into exactly how his music became the rallying anthem during the Apartheid years. Here the film does feel just a little underdeveloped however it is not a great loss as the film sweeps you along a moving story which can’t dwell in any one place too long. Which on the flipside is a technique that often works in the film’s favour, it’s lightness being such an integral part of the film’s ethereal portrait of its subject. Your’re going to come away with plenty of questions about this musician but you’ll be grateful for it; not just because you’ll have discovered a new artist to explore but also because it is quite the ride which the film takes you on. What is the film’s greatest strength? The fact that this is more compelling and exciting than most thrillers you’ll find. Its greatest weakness? The look into how and why he became the anthem of choice during the Apartheid years. Would I see it again? Certainly. It’s an emotional experience, not only because of the particular story it tells but also because it genuinely reminds us why music is such a powerful and involving art. Great review as always! I still havent seen this. I feel like I definitely should now! Thank you, yeah I thoroughly recommend it! Solid review. Loved this documentary. You’ve prompted me to watch it again. Thank you, it’s surprisingly moving isn’t it? Excellent and interesting review. A sad tale, a lesson that we should all take on board, never give up! I shall definitely watch out for this one. Thanks, you should definitely try to track it down! 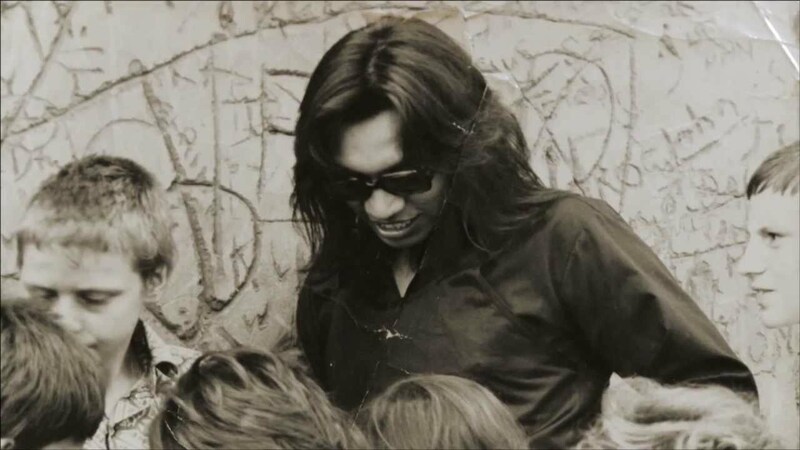 I grew up in South Africa listening to Rodriguez and I can tell he genuinely was bigger than Bob Dylan to us. I only found out as an adult that he was unknown anywhere else. That’s really interesting to hear, it’s a really strange phenomena that he was so well known in one place and yet ignored back home.